Taking on a course of 1:1 pilates with Debra is quite possibly the best thing I've done for my body. Not only after just three sessions in do I feel stronger and more aware of my posture and body but I am able to adopt what I learn in each session in every day life. As a result already my diastasis recti that has plagued my life for the last 8 years is improving and strengthening. Debra is highly focused and driven to bring out the best, she is exceptionally knowledgeable about what she does and motivates you to get the most out of each session. I‘m so impressed with her approach and the way that she is able to put you at ease with yourself and promote self confidence. I'm looking forward to seeing more improvements and changes, I know they are coming and it‘s thanks to Deb. 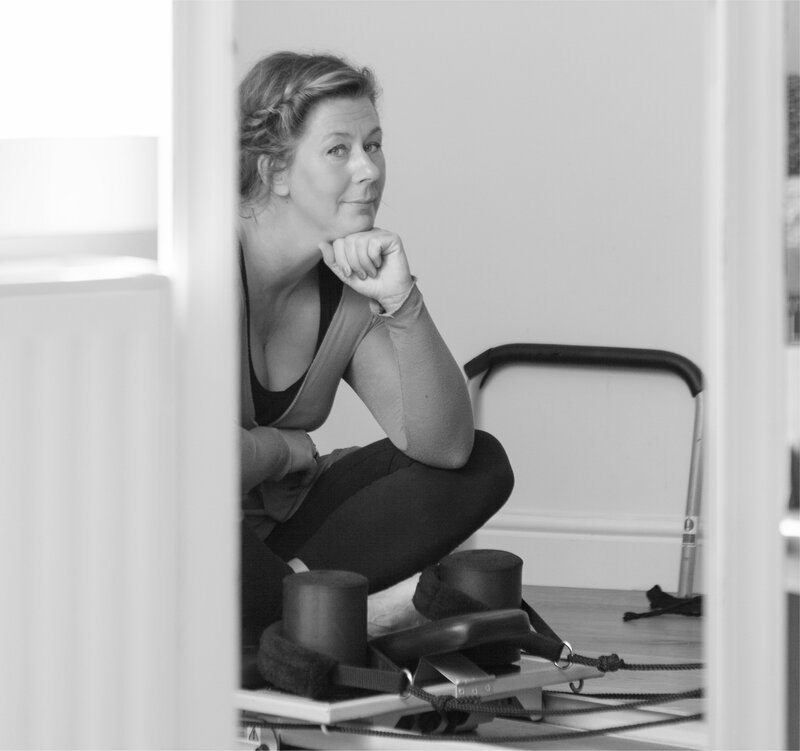 I can only recommend that if you need to develop your strength and core as well as improve your flexibility then you book in with her. What I'm learning is going to stay with me into old age and keep me flexible and strong. A big double thumbs up and a huge thankyou to Debra! I have known Deb professionally for about 4 years. I started Pilates classes with her and things have gone from there. Debs ethos really appeals to me - the need to create bespoke treatment plans to suit the time, budget & financial needs of the individual means everyone gets exactly what they require, rather than one size fits all. I am very happy to recommend Deb to my clients & positive feedback from them ensures happy clients all round. What I love about Deb is her ability to multitask, as a busy working Mum the need to accomplish several things at once fits perfectly as my boys have drumming lessons with Debs husband Gordy whilst I have an hour reformer Pilates in her studio, surrounded by lovely candles & lighthearted banter! The perfect Balance of professionalism & approachability with a true love of people combined to perfection! Cannot recommend highly enough. Debra has been working with my daughter for the past 6 months. The transformation she has achieved has been outstanding to say the least! Her kind, supportive, sensitive manner has helped build a great relationship which I am sure has helped enormously with my daughter confidence and ongoing rehabilitation. Myself and my daughter are so grateful to Debra and would highly recommend her services. What would I do without her! All joking aside, Debs is an excellent teacher both in group and 1:1 sessions. I‘d highly recommend her Wednesday class if you‘re just getting into Pilates, or have back problems, it‘s focused and all about getting the right technique. Due to a very weak core as a result of pregnancy, I was advised by a doctor to look into Pilates in an attempt to strengthen my back. I had been suffering with back pain for a number of years, the problem getting progressively worse, effecting both my home and work life. Debra took the time to find out my background, the cause of the back problems and how best to alleviate them. After 6 consecutive sessions, I could really feel the benefit. I felt much better in myself, my posture improved, and back pain was minimal. I have now been attending Debra‘s classes for over 6 months, and can honestly say they are the best thing I have ever done. Backache is virtually non-existent, I am far more supple and can do things without having to worry about putting my back out or being in pain the next day! Debra is a fantastic Pilates instructor, the classes are friendly, fun and welcoming and I can‘t thank her enough for introducing me to the world of Pilates and all of its benefits! Debs is fantastic at understanding people and their needs. I had never stepped foot in a Pilates class before, yet she instantly made me feel at ease. The class was gentle and relaxing yet very effective - I was using muscles I never even knew I had. For days after I felt the the benefits of the Pilates exercises and I know that regular attendance will produce amazing changes. Debs is an expert in her field and whether you want to lose weight, tone up or just regain lost flexibility, I highly recommend her classes if you want to see results. It has been so lovely to be able to take an hour out of each week to visit Debs at her studio. Debs has all of the equipment needed to make me work hard and improve my physical condition as well as providing a calming and soothing retreat at the same time. I would recommend her 1:1 sessions to anyone. Well worth it!! After suffering with back problems since my late teens, I had resigned myself to the fact that this is just something I am going to live with and playing sport just made it worse. I was recommended Debra‘s Pilates sessions by a work colleague and I had heard it was good for back problems & posture, so I thought I would give it a go! After the second week I was already feeling a difference and 3 months later my back felt amazing. Debra was fantastic in taking time out in the class to give me 1:1 advice, which is a fantastic personal touch. 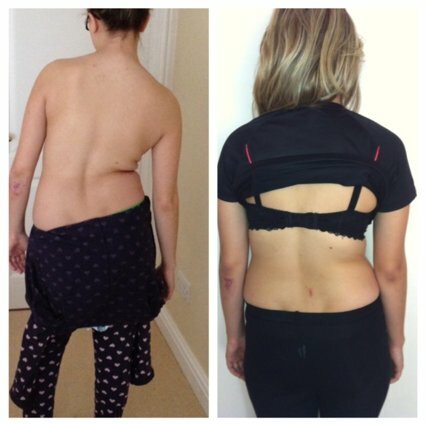 I would highly recommend Debra‘s Pilates classes for anyone who suffers with back problems and urge them to give it a go, they won‘t regret it! I had been doing exercises twice a week for just over a year when I was introduced to Debs. I decided to try her pilates classes and found I loved this type of exercise. I was very nervous but she is so welcoming and friendly. You do work hard but feel so energised after, not only that but gradually your core muscles get stronger and you feel so pleased when you can do the exercises you could not do before. I now class Debs as a good friend and I look forward to the three classes a week. If you would like to start exercising but suffer with any aches and pains, I would recommend her Wednesday back care class as it is a little gentler and concentrates more on technique. I have gained a lot more confidence since attending these classes, and my body shape has definitely changed. I have also made a great new friend. As a complete exercise phob I meet Debbie 2 years ago. I joined one of her Pilates classes with a friend and really enjoyed it.. Even though I walked out a completely red and sweaty mess! I stopped after this but soon rejoined again with my cousin.. By this time I‘d started weight watchers and had lost a few pounds!! I was completely hooked, Debbie had turned me from a couch potato to a complete Pilates nut!! Every class was fun and she always treated you like family and took the time to talk to every individually about areas of concerns. Then she introduced more classes and I couldn‘t wait, my husband was shocked by the change in me.... In September 2013 I found out I was pregnant with my second child.... After suffering health complications with my first child, resulting in a early delivery I was keen to keep myself active... Debbie was there every week to support me, adding changes to her routines so that I could be included. This time I only put on 22lb and had a happy healthy pregnancy!! I‘m now in the process off getting back into it again... Once again Debbie was there to talk me through the best and safest way to reintroduce exercise after a baby.